Medieval Waterboarding at its finest. 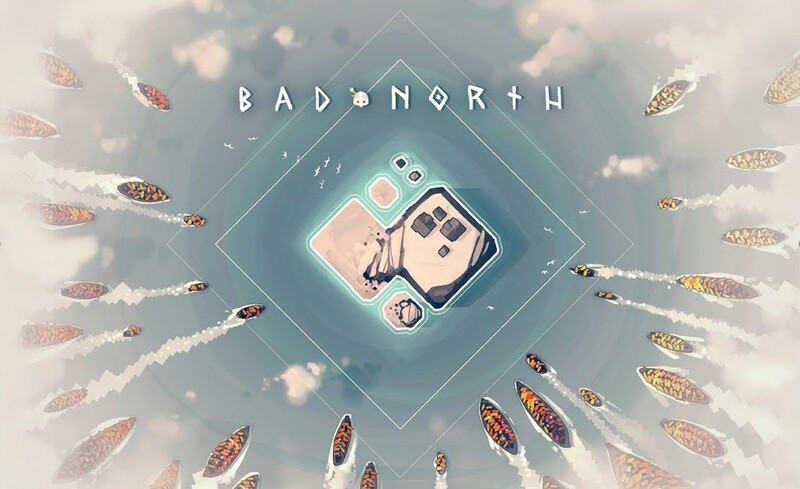 Bad North is not supposed to be this good. A game that gives you no backstory, no extensive tutorials, and no real explanation of why you should even care to pick it up and play it, grabs you from the get-go and pushes you to survive for as long as you can, making short play sessions morph into hours at a time. Plausible Concept‘s simplistic design of Bad North in many ways overshadows the fact that it is punishingly difficult to master, especially when trying to defeat it at the harder setting. Its Permadeath nature makes this ‘real-time tactics roguelite’ title almost impossible to finish, and its procedurally generated islands keep you from crafting a strategy before loading up the game. The concept of the game is simple. You start out on a randomly-generated island, defend it from incoming invaders, and move on to the next one. Simple enough, right? But as you set your trajectory to arrive and protect other islands, the impending sound of doom gets louder and louder, and the amount of invaders increases, frantically dropping the odds of your survival with any misstep. The game’s description on the Nintendo eShop site states that “your home is under attack” from Viking invaders, and it is up to you to defend it as you take over your father’s place as the new ruler tasked with protecting your people, but none of this really matters. The first time you play it and have one of your minions clobbered and blood spattered all over the ground is enough to convey just how brutal it can be. What may look like a simple, charming little title with pastel colors that give it a soothing imagery similar to the old Winnie the Pooh cartoons, rapidly morphs into a frustrating and hopeless attempt at survival, with your failures almost always culminating in paintings of bright red. Attempts at enduring the treacherous journey start at the very beginning, as soon as the game loads on the first island. It is here that you can commence your path, strategically charting your progress in order to land in places that award you an item or additional troops, while at the same time keeping the waves from reaching and toppling your group. Each island contains houses (although different in number), and protecting them means earning gold coins, depending on the size of them. These gold coins can then be used to purchase items and skills for your troops. Traveling to an island with a larger number of houses could reap you higher rewards, but at the same time, you could encounter a larger count of enemies that could topple you if not careful. Traveling to a certain island could also mean that you are distancing your troops from the path of neighboring islands. Sometimes you need to make decisions between going north or south chasing after an item or additional troops, or skipping them altogether because traveling on a straight path is a surer way to escape from the incoming waves. Items come in different shapes and forms. From the ‘Ring of Command’ which increases your maximum squad size to a ‘War Horn’ which allows you to call for instant reinforcements, these items can give you an advantage over your enemy, but you have to be careful which group you assigned it to. Assigning classes to your troops gives you the flexibility of selecting between Infantry (Melee unit carrying swords and shields), Archers (ranged unit which can fight from a distance), Pikes (defensive melee unit carrying long pikes), and give them additional upgrades to raise their experience to Veteran or Elite status, making them more powerful and effective. There are also Skills that can be assigned to your troops, which range from Pike Charge (charge with your pikes along a straight line), Volley (bombard a location with a hail of arrows), or Plunge (performing a jumping attack from a cliff) among others. These specifically take special conditions within a battle to be executed, which makes understanding your situation as well as your surroundings that much more critical. And just when you feel like your troops are prepared to take on any type of enemy because of an upgrade, you find out that your enemy can evolve too. Archers lose their advantage and are made irrelevant when enemies arrive holding shields to protect them from the arrows, and a powerful infantry can even appear overwhelmed by the arrival of enemies that tower over them. Losing soldiers in battle is a regular occurrence, but losing a commander means not being able to call upon that troop anymore. Once a commander is defeated, they disappear from your available units, making it utterly important that if you feel the threat is too much to bear, that you attempt to flee by guiding the commanders to the enemy boats, so they can board them and escape, surviving to fight again on the next turn. When all of your troops are defeated, a black screen with the words ‘Game Over’ prominently displayed at the top appears, giving you a somber reminder that your death is permanent and your subsequent journey must begin from scratch. All the upgrades and items you collected along the way are gone. It also gives you a glimpse on how you did during that particular campaign and oddly enough encourages you to continue to play and surpass your previous stats, hoping that at some point you will finally get to guide your troops all the way to the end. The Nintendo Switch version of the game allows you to use both controllers or touchscreen to play the game, with Bad North looking equally clean and beautiful on the Switch screen as well as on the TV. I do not recall experiencing any significant slowdown during battles, even when swarms of enemies covered the screen at the same time. The game’s sound effects are subtle, and the banging of drums and blowing of horns not only alert you to incoming threats, but give you the feeling that particular attack could be your last. I’ve heard of bugs which either makes an enemy invulnerable to any attack or makes the game think an enemy is still alive when all have been defeated, making it impossible for the battle to end, and causing an error forcing you to start the game from the beginning if you attempt to feel. I personally did not experience any of those issues but felt that they should be noted here on the off-chance that someone experiences them. The simplicity of Bad North will make comparisons to games like Civilizations Revolution unfair because the titles themselves could not be more different. Whereas in Civilizations Revolution you combat your foes and forge alliances as your troops develop by the passing of times, Bad North is more so a throwback to past arcade games, where you continue to battle swarms of increasing enemies until the very end. Don’t let its charming nature fool you, because the game is brutal in nature and will punish you severely for your mistakes. Bad North is a very unique entry into the Nintendo Switch library and well worth your time.